Bespoke | Page 5 | Interior Boutiques – Antiques for sale and mid century modern furniture, french furniture, antique lighting, retro furniture and danish furniture. 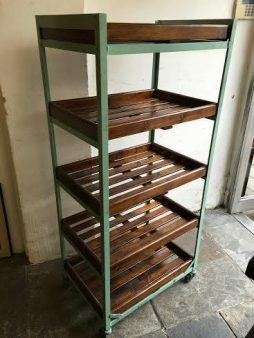 We're selling these bespoke shoe trolleys, modelled from original 1930's shoe trolleys. They are made to order, so contact us with measurements and we'd be happy to fetch you a quote for your perfect trolley. They are made of pine and metal, and have wheels – so are very easy to move from place to place. 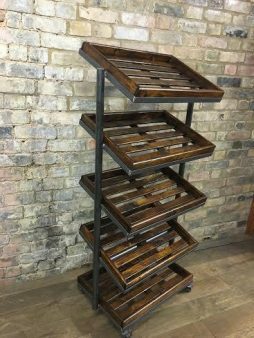 These can be used to store shoes, of course, but would also be wonderful as shop/store/market displays or even garden/outdoor storage. 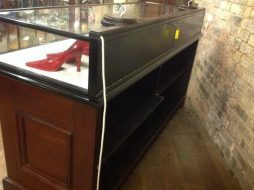 Stunning Jewellry display cabinet – 1920s in style with opening back doors for access to display. Made of mahogany, lovely rich colour and made with toughened glass. 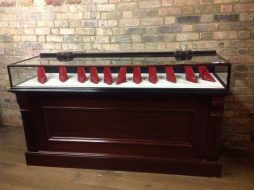 Originally from a high-end jewellry store in New Bond Street, London – this would be gorgeous in any store, displaying jewelry or small items.